Jesse Ross was in Chicago with fellow students from the University of Missouri, Kansas City taking part in a Model UN Convention. Jesse, affectionately known as “Opie” (Jesse’s character name on a local radio station which was Opie Cunningham, taken from two popular Ron Howard characters, Opie Taylor and Richie Cunningham) was a communications major and an intern at a local radio station at the time of the trip to Chicago. For the last five years Jesse’s friends and community have sponsored “Opiefest” to assist the Ross’ efforts to find Jesse. Five years has been spent handing out flyers, scouring the internet, submitting information to every missing persons organization and news outlet they could, yet the Ross’ are no closer to finding Jesse. 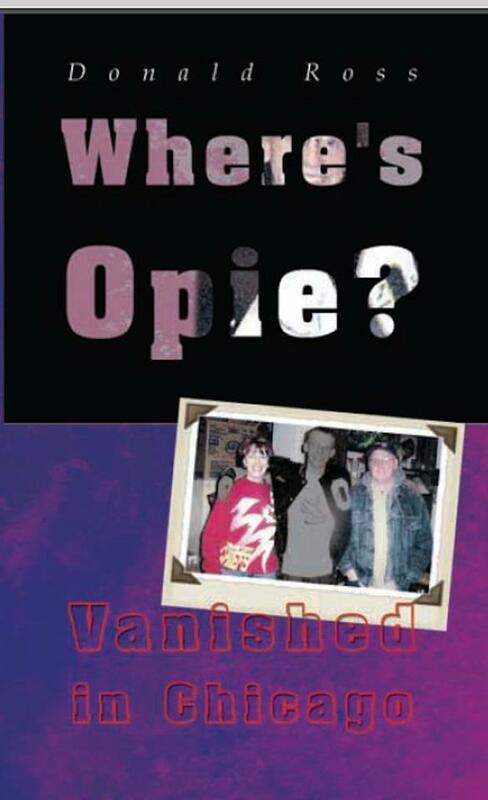 Donald Ross, Jesse’s father, has just released the book, Where’s Opie: Vanished in Chicago which is dedicated to disseminating information about Jesse, as well as all the missing and unidentified and the families who wait and hope for their return. Available on Amazon, and Donald Ross will give information about how to obtain an author autographed copy. Each time human remains are found in or around the Kansas City area, the family of Star Boomer take a deep breath and prepare for the news as they have for the last 12 years. What if it’s her?, what if it’s not?, the questions start all over again. On the evening of February 23, 1999, Star Boomer was patron of Uncle Mike’s Bar at 49th and Metropolitan in Kansas City, Kansas and there was an altercation. By all accounts there were 13 witnesses who saw Star literally beaten to unconsciousness. That’s where the story of Star Boomer ends. No one is talking about what happened afterwards. Not one of 13 witnesses has told authorities where to find Star Boomer nor given any helpful information. Ten years later another case of a missing mother from Kansas City made its way into the headlines. Renee Pernice went suspiciously missing on New Year’s Day. Her husband, Shon Pernice was subsequently arrested for her murder, but her body has never been located. Shon Pernice was also present at Uncle Mike’s Bar on the evening of February 23, 1999. Coincidence? Thanks Laurie and Susan:!! Very interesting case re Jesse/Opie…. Did the police review all of the conventioneers, booked parties at the time, hotel guest lists; any “shady characters” registered for the UN conference? ‘Sounds like they did a very thorough search outside, but I wonder how much was done within. Re Star Boomer case -‘Too bizarre for words…. I lived in the state of Kansas for three years. It appears to me that it was night and day regarding resources, wealth, population and culture on the border of Kansas City, Kansas versus Kansas City, Missouri. The jailhouse mentality…. The Kansas City Kansas police must have given the serial killer a revolving door on his cell. I think all of the 13 witnesses are culpable. They are probably drinking themselves to death… This secret will give them a premature life, no doubt! Bottom line, justice for Star needs to happen!